Guest blogger Jennifer Goldstein has worked in several different departments at the New England Aquarium, including the Edgerton Research Lab and the Conservation Department's Sustainable Seafood Programs. Her career as a researcher and analyst has focused on large pelagics, primarily tuna, including research into the reproductive biology and foraging energetics of bluefin tuna, and more recently, researching aspects of sustainability of various tuna fisheries. Of the seven commercially important species of tuna, skipjack (Katsuwonus pelamis) are the smallest and most abundant. They are found in the Atlantic, Pacific and Indian Oceans in tropical and warm-temperate regions. Though they are difficult to age, they are thought to live between eight to ten years, and can grow to the length of a meter or more, but are common at smaller sizes. They are opportunistic predators, feeding mainly on small fish, crustaceans and cephalopods (squid). Skipjack are prolific breeders, and are sequential batch spawners. This means that at any given time, they have oocytes at a variety of different developmental stages in their gonads. This allows them to spawn a “ripe” or mature batch of eggs, and within a day or so, a new batch will have matured and they can spawn again, releasing hundreds of thousands of eggs each time. Though there are seasonal peaks in spawning, they are capable of reproducing throughout the year. Biologists would say that the skipjack tuna’s suite of life history characteristics make them an “R-selected” species, meaning that they have a relatively short life span, start reproducing at an early age and have high reproductive output during their lifetime. At the other end of the spectrum are “K-selected” species, which have long lifespans, start reproducing later in life, and have a relatively low lifetime reproductive output, for example, whales or humans. 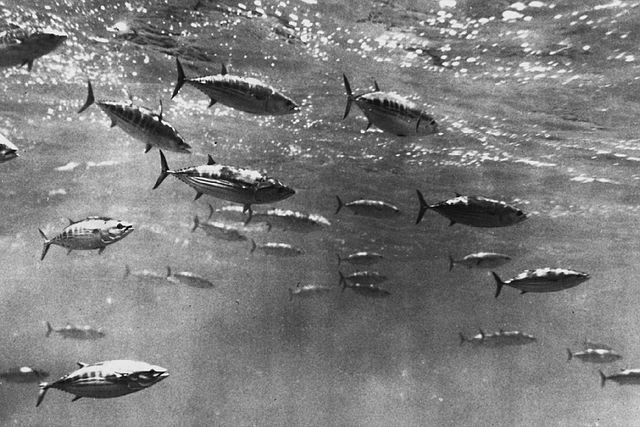 Migratory patterns for skipjack are complex, and vary among individuals and regions. 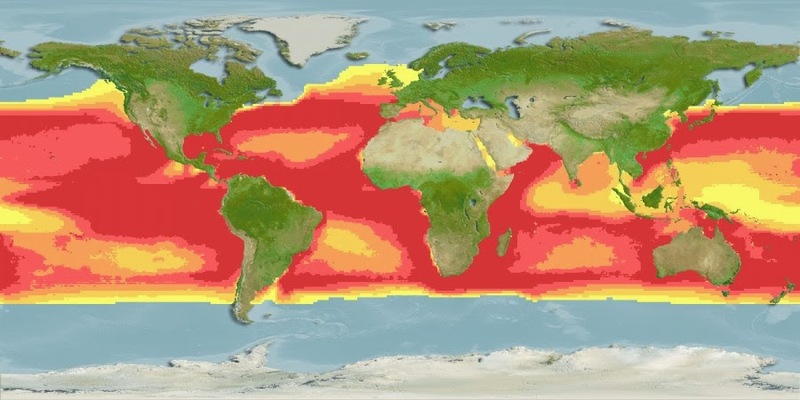 Though they are not the most highly migratory of the tuna species (that claim belongs to the bluefin tuna), it’s likely that they will move between the territorial waters of several Pacific Island countries during their lifetime, meaning that no one country can adequately manage the resource. Kiribati and the seven other Pacific Island countries known collectively as the Parties to the Nauru Agreement (PNA) are doing just that: they negotiate for conservation and management measures as a block to ensure sustainable management of skipjack in the greater Western and Central Pacific Ocean (WCPO) management area, and to increase the economic return for their citizenry. The importance of the sustainable management of this stock for Kiribati cannot be understated, as the purse seine fishery for skipjack tuna in and around Kiribati is one of the biggest fisheries in the world. Skipjack landed in this fishery account for 69 percent of all tuna landed in the WCPO and 36 percent of worldwide tuna landings. For Kiribati, revenues from fishing licenses make up about 40 percent of the country’s gross domestic income. Another behavioral quirk that has had wide-ranging effects on the nature of the skipjack fishery is their propensity to associate with other larger fish or marine mammals, or under floating objects like logs, or man-made fish aggregating devices (FADs) used to attract fish and make them easier to catch. In the next installment on the tuna of the Phoenix Islands, I’ll discuss the growing use of FADs in the purse seine fishery for skipjack, and how it has affected the population of another important PIPA resident, bigeye tuna.